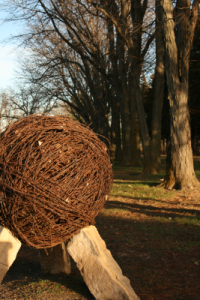 Nekoma Bank Museum features some of the original furnishings of the bank that were used for over 70 years. 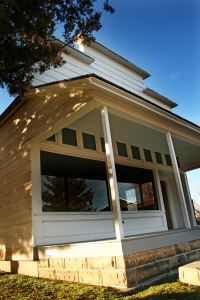 The furnishings also include a pre-Civil War desk from the Court House, oak chairs and equipment from the old Farmers and Merchants Bank, posting and adding machines from the pre-World War I period, and checkbooks, journals, and ledgers from the early years of the operation of the Nekoma Bank. 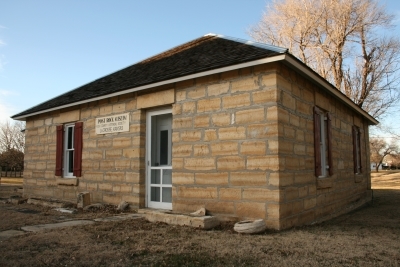 A museum of rural banking is housed in the back. 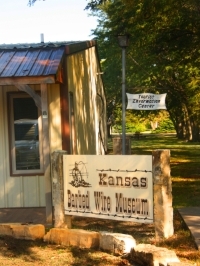 Open May-September, Monday-Saturday 10:00 a.m.- 4:30 p.m.; Sunday 1:00 - 4:30 p.m.
A collection of Barbed Wire. 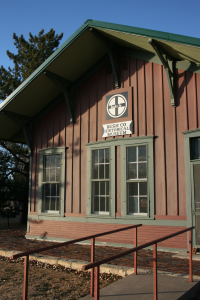 A collection of late 19th century and early 20th century artifacts from the pioneer days in Rush County is housed in a Santa Fe Railroad depot moved to the site.